Hello everyone! 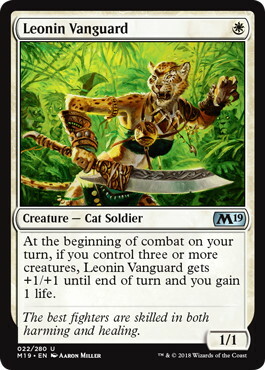 A lot of you might think that Standard is boring, it’s over three weeks after the Pro Tour, everything is solved, there is one the best deck, and playing anything other than that is a mistake. Well, it used to be like that for a long time, but now, even though type 2 is quite old, it’s still very healthy. 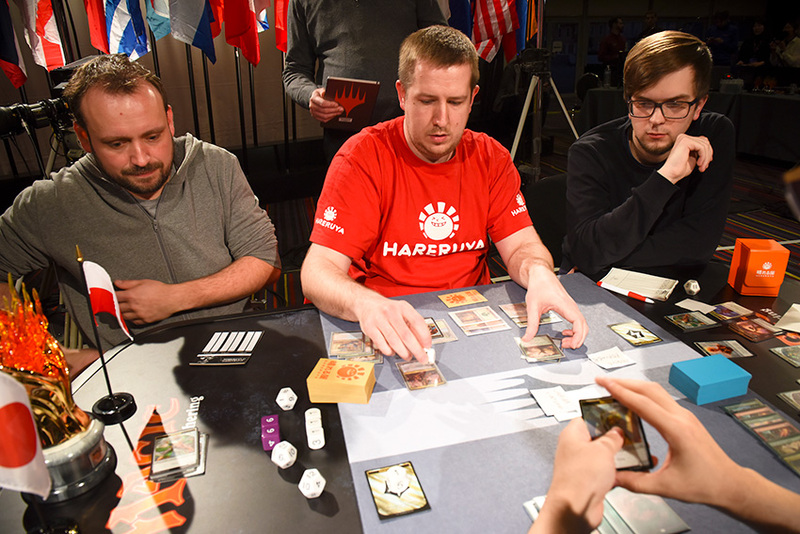 We had a lot of good decks right now in the top 8 of recent events. You can play almost anything you want, with a chance to make a good score. Decks all evolving consistently, and lists look way different than 2 or 3 weeks ago, even if we still talk about the same archetype. 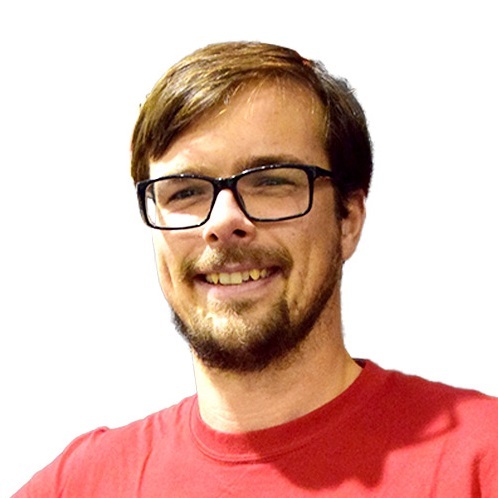 Today, I want to show you how many possibilities you have, when you look up for a good Standard deck, so you can choose something that fits your play style! Obviously, I have to start with our PT deck. 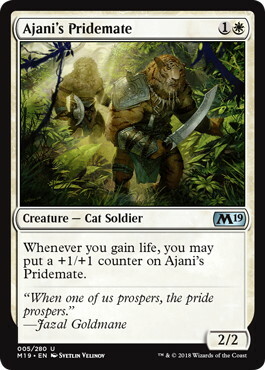 There are so many versions of White Weenie, with Red splash or just pure White, which 《Ajani's Pridemate》 and lifegain package or with 《Heroic Reinforcements》 maindeck. I might be a little biased, as I played this deck at the PT, but I honestly believe this is the best version of White Weenie. 《Ajani's Pridemate》 becomes a big threat really fast with life gain support. It’s easier to play around cards like 《Find // Finality》 or 《Deafening Clarion》 with him. 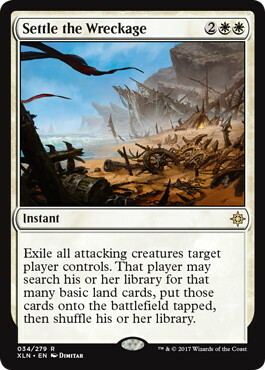 《Experimental Frenzy》 attacks from a different angle after sideboard, and people often look so hopeless with hand full of point or mass removal when you cast your four mana game breaking enchantment. 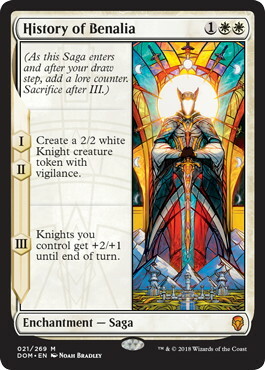 If you want to learn more about the deck, I’ve written a White Weenie premier right after the PT. Proactive. Games are usually fast. Post-board attacks from different angle thanks to 《Experimental Frenzy》. Terrible Mono Red match up. After the Pro Tour people are more prepared. 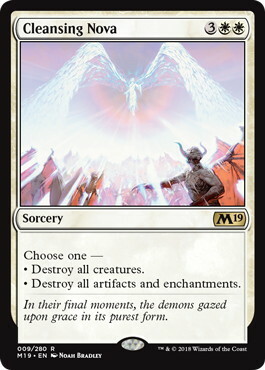 If you don’t like Mono White, let’s take a look on Mono Red. This is the winning list from Grand Prix Lille 2018, but there are four very similar lists with 8-2 score at the Pro Tour, which shows how good this deck is. The main strength of Red aggro is good match up versus other aggro decks. 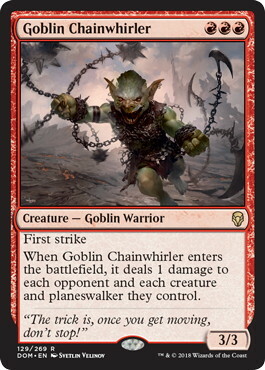 《Goblin Chainwhirler》 is a good and old all-star when you battle with creatures, and White Weenie or Mono Blue are all full of X/1 bodies. This deck offers to you a great sideboard plan. Against slower decks you have a powerful combo – 《Experimental Frenzy》 with 《Treasure Map》. You can easily out-grind Jeskai control or Golgari midrange with those. Mono Red with Kaladesh was quite boring and straightforward, but this one is really fun to play, with a lot of options how to navigate. Sometimes you kill your opponent turn four, other times you play a long game and win a card advantage war with 《Frenzy》. Good match up versus other aggro decks. 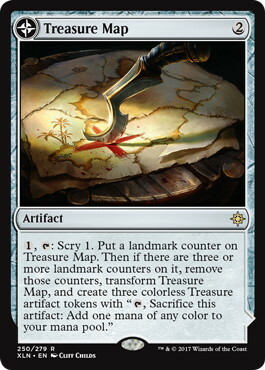 Sideboard plan with 《Treasure Map》. Fun to play comparing to old Mono Red. Can win in many different ways. Terrible versus lifegain. 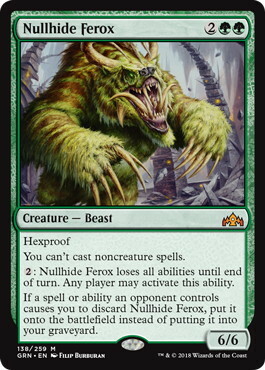 Almost can’t beat 《Wildgrowth Walker》 if you let it trigger twice. Here we have something spicy. It’s pretty rare to see a perfect 10-0 score in constructed during the Pro Tour. 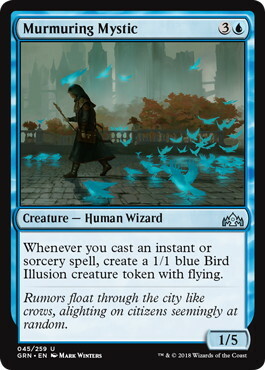 Guillaume Gauthier managed to do it with Mono Blue! 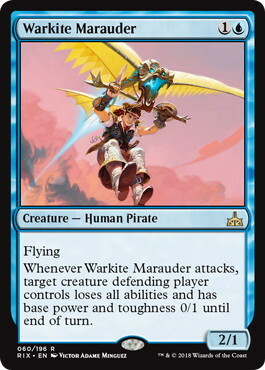 Even though Gabriel Nassif finished 2nd in Lille piloting this machine, before the PT we all agreed Mono Blue is just bad and didn’t consider it as a top tier choice. Guillaume proved us how wrong we were. Mono Blue is more a tempo deck, than classic aggro. 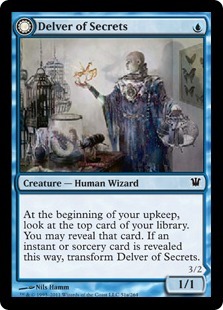 Your main goal is to enchant a cheap creature with 《Curious Obsession》 and protect it. 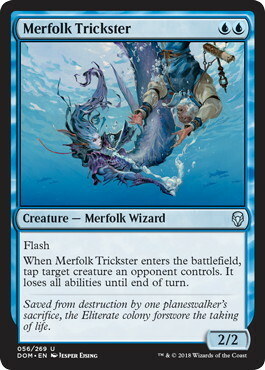 《Merfolk Trickster》 and 《Warkite Marauder》 make blocking for your opponent really hard, so you can consistently push damage, and draw more cards. 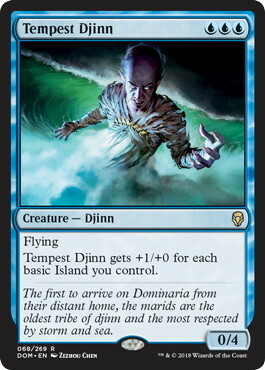 If plan A doesn’t work, you still have 《Tempest Djinn》 which is a one card win condition. It’s pretty easy to protect it with all the tools you have, and 《Djinn》 makes a job done in just few turns. Play style is very similar to 《Delver of Secrets》 decks in Modern or Legacy, so if you ever liked them, you should try this one as well! Your best draws are almost unbeatable. A lot of way to out-play your opponent with instant-speed stuff, games are challenging, but also rewarding for good plays. Deck plays horribly from behind. Golgari (Black-Green) is definitely the most popular midrange deck. There are some good reasons for that. First of all, BG dominated early weeks of Standard. 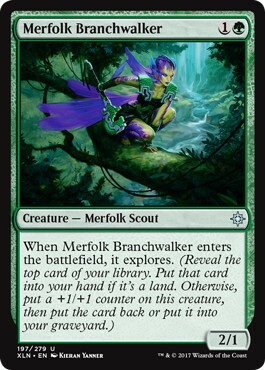 Second, deck has great mythics and rares which usually is enough for midrange strategies to be good, but on top of that, here we have a great synergy between 《Wildgrowth Walker》 and “Explore” creatures. During the Pro Tour Golgari was a deck to beat, people played hate cards like 《Tocatli Honor Guard》 to fight BG specifically. Now, metagame is more diverse and it is a good time to try to bring this deck to the top again. I really like reasoning behind Matt Nass’s list. 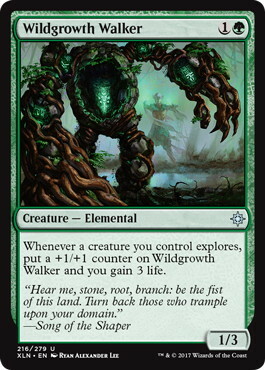 We have 4 《Wildgrowth Walker》 which is necessary in such an aggressive metagame. 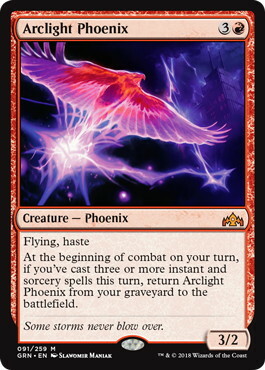 《Doom Whisperer》 is a great weapon versus Mono Red, Mono White, and UR Drakes, but no one else wanted to give it three slots. 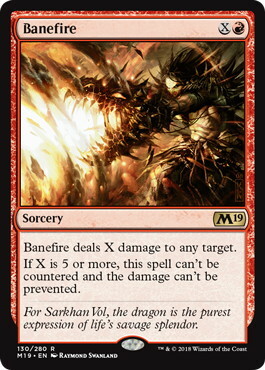 《Carnage Tyrant》 over 《Vraska, Relic Seeker》 is something really common right now, so also no surprise here. 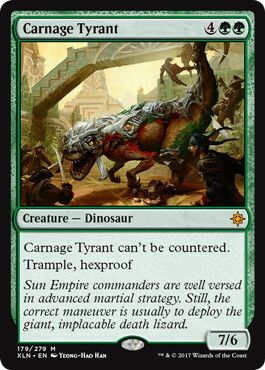 3 《Carnage Tyrant》 in 75 seems fine for me. It’s a 6 mana card, and drawing to many in early game might be a real drawback, so I wouldn’t play 4. If meta evolve into more midrange and control, I would consider adding one to the maindeck in place of 3rd 《Doom Whisperer》. 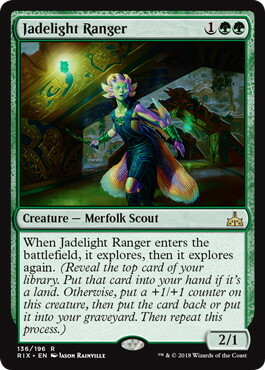 Classic midrange, can win against everything if you draw the right part of your deck. Powerful cards and synergies inside. Great sideboard. Sometimes clunky. If you draw too much removal versus control, or too many expensive cards versus aggro you almost can’t win. Kenta Harane and Teruya Kakumae played the exact same 75 cards and both finished 8-2, which is pretty impressive. Deck attacks from a different angle than Golgari. 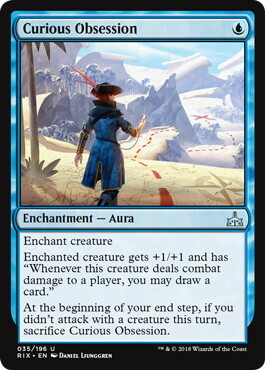 The goal here is to go wide, and sneak damage through eventually or set up one big turn with 《Flourish》. 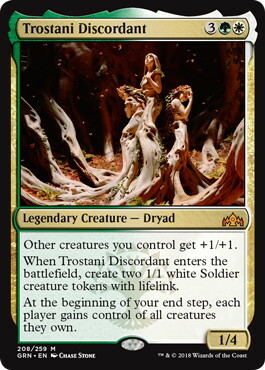 《Trostani Discordant》 is MVP in a token-based deck, as it provides more tokens for “Convoke” to make 《Flourish》 and 《March of the Multitudes》 more effective, and also pumps your whole team itself. Deck is really fun to play, because you can play as an aggro deck, curving out from one to five when you draw well, but you also can play a really long game on your own roles being almost like a 《Splinter Twin》 combo in Modern, before the ban (《March of the Multitudes》 + 《Flourish》). 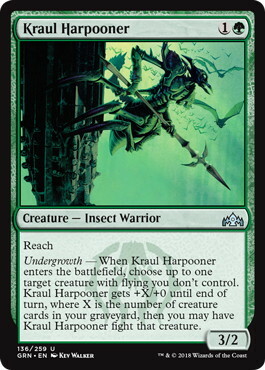 《Kraul Harpooner》 is a great sideboard card in world full of 《Crackling Drake》 and 《Niv-Mizzet, Parun》, and 《Nullhide Ferox》 gives a really hard time to decks relying on point removal. There is also one list from top 8 of GP Lille, that is different from the one above. 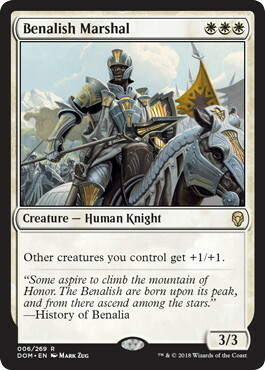 It is more aggressive, and relies on 《Benalish Marshal》 to pump your team. I’m not sure which one is better, so if you like this token play-style, it will be worth to try both! Great versus unprepared opponents without mass removal. Can be fast and curve out, but also has very good late game. 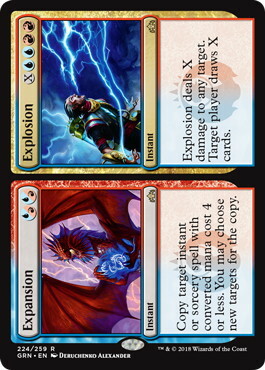 Bad versus any sort of mass removal. Sometimes clunky, deck has many expensive cards, that don’t work without cheap creatures. No doubts, Jeskai is the most popular control deck right now. 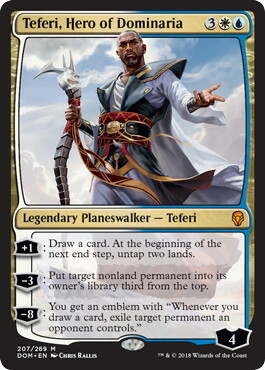 The best home for 《Teferi, Hero of Dominaria》, so if you like him, you won’t find any better deck to play. Eli Kassis won GP New Jersey 2018 with more combo-ish version using 4 《Azor's Gateway》 and 4 《Expansion // Explosion》 + maindeck 《Banefire》. 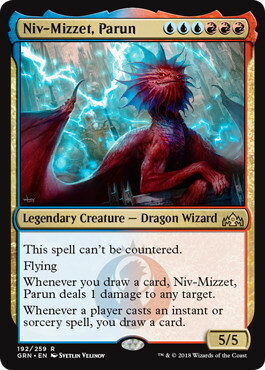 Only three weeks later Adrian Sullivan got a trophy using 《Treasure Map》 as a card advantage option and 《Niv-Mizzet, Parun》 as a finisher. Lists are visibly different, which proves that you can build your Jeskai the way you like, and experiment with number of cards. 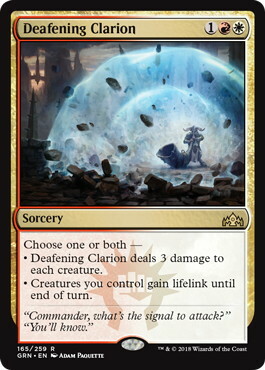 《Deafening Clarion》 is a great addition from Guilds of Ravnica, now you have access to cheap mass removal, and relying on 《Settle the Wreckage》 is no longer the case, which is a huge upgrade versus aggro decks, as white mass removal is easy to play around. The best late game. Answers for everything. 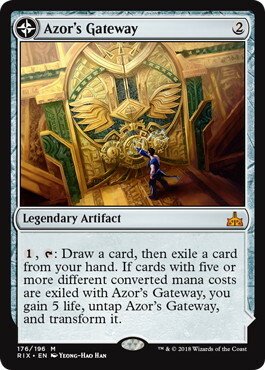 Access to 《Teferi, Hero of Dominaria》. Games are long. 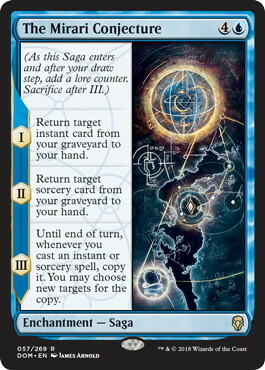 Sometimes you draw a wrong part of your deck, and die before you can do something relevant. It’s not a true combo deck, but this article is made mainly to show you what you can play to enjoy current Standard, and I’m pretty sure, if you like combo decks in general, you will be very happy while playing Drakes. There are a bunch of cantrips and card selection, to set up a big turn and make endless value with 《Arclight Phoenix》. 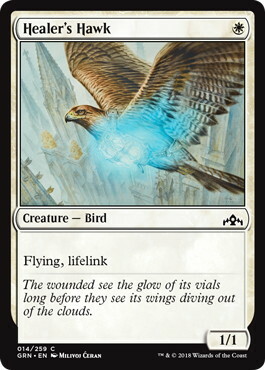 《Murmuring Mystic》 is a nice maindeck addition, that helps against Mono White (the worst match up for a classic drake version) and other aggro decks. Deck is really hard to play well, but is also really rewarding if you master it. 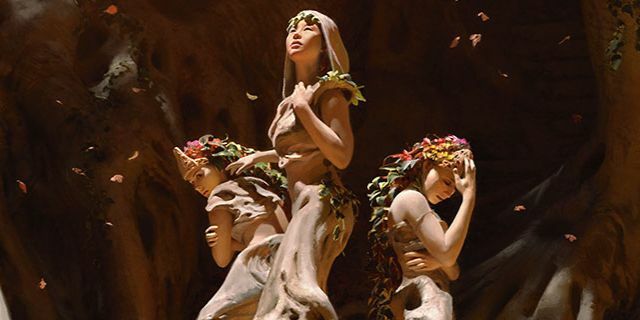 If you want to read more about this masterpiece, check out Pascal’s article! Rewards for playing well. Good Golgari match up. The best deck for one-ofs, with 16 cantrips you will draw them fairly often. Extremely hard to master. Bad White Weenie match up. As you see, format is great and you can play almost anything without giving away your equity. 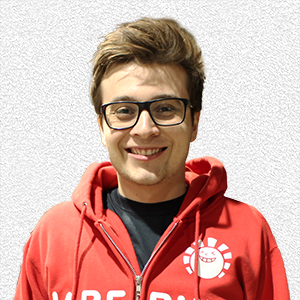 In two weeks I’ll be representing Team Poland on 2018 World Magic Cup in Barcelona. 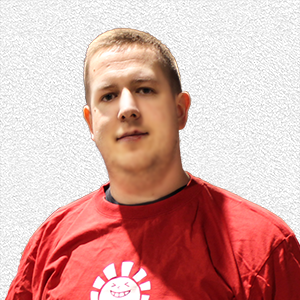 We will play Team Sealed, and what’s more exciting, Unified Standard. I’m really looking forward to this event, finding the best set up, with so many viable decks will be really challenging.